Leon L Sellers, 71, of Lake Park, MN, died on Sunday, March 4, 2018, in his home after a courageous battle with cancer. Leon Lydell Sellers was born May 31, 1946, the son of Florland and Clara (Branden) Sellers. At a young age he lived in Audubon, MN, and later moved to Glyndon, MN, where he was raised and graduated from high school. In October of 1964, Leon began his twenty-four year career in the United States Navy. He served his Basic Training in San Diego, CA, and then went to Great Lakes, IL, for ETAS school. 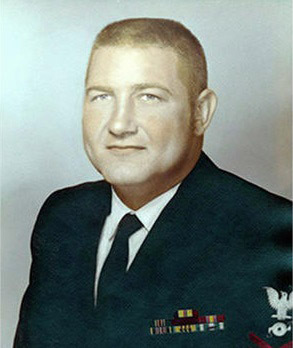 Over his career, Leon served on several ships and during the Vietnam war served on the USS Providence and the USS Osbourne. In 1968, he went to Philadelphia, PA, where he attended Boiler Technician School. From there he served on the USS Frances Hanson, USS Towers, USS Skagit, USS Kansas City and USS Bradley. Leon retired in January of 1988 with the rank of Master Chief. On June 10, 1970, Leon was united in marriage to Louisa Jones. They made their home in several places throughout the United States while Leon served in the Navy. After his retirement they moved to rural Lake Park, where he has since made his home. Leon then began working for Simonson Marine, Detroit Lakes, MN. On February 10, 1994, he was united in marriage to LaDonna Johnson. She died on November 11, 2006. Leon loved life to the fullest. He enjoyed spending time with family and friends, gambling, and a good cup of coffee. He is survived by his sister, Sharon (Conrad Barnes) Hendrickson, Moorhead, MN; brother, Dean Sellers, Parker, SD; nephew, Chief Warrant Officer Pete (Trudy) Hendrickson, U.S. Coast Guard, Mobile, AL; nieces, Shannon (Shawn) Johnson, Moorhead, and Kimberly (Jeremy) Anderson, Frazee, MN; nine great-nieces and nephews; and very special friends, "his girls", Carly (Ryan) Olson and Kristi (Trevor) Lund, both Lake Park. He was preceded in death by his parents, Florland Sellers and Clara "Toots" and Clarence "Toby" Davis; his wife, LaDonna; and brother-in-law, Wayne Hendrickson.